ChangYou and GameFuse are proud to announce that Beta testing for Totem is now available. The game will be in testing from November 13th through the 20th. During the test you will be able to explore 2 different PvE modes, engage in strategic PvP battles, customize your troops as well as collect daily rewards. 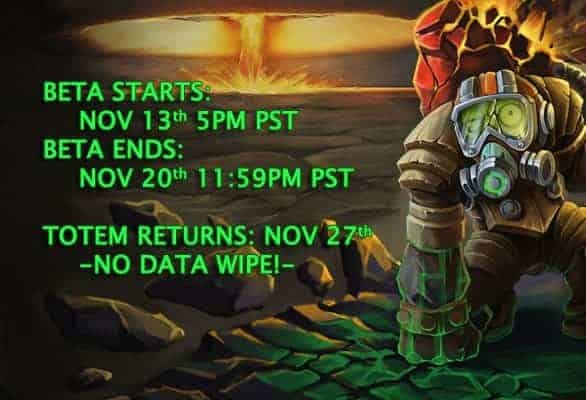 Starting on November 20th, the game servers will be shut down for a one week period while they review all the player feedback and make some final adjustments. After they have optimized the experience in the game, you will be ready to play again on November 27th. Best part is, there will be no player wipes, meaning your character and their skills, levels, and upgrades, will be just as you left them at the end of beta. To get in on the Beta Visit the GameFuse Totem website.